Hi! 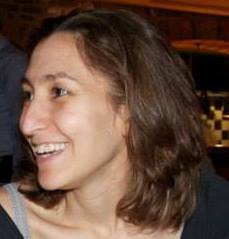 My name is Nava Tintarev, and I joined the Department of Computer Science as a Lecturer in Intelligent Interactive Systems in February 2016. In the department, I am a member of the Smart Technology Research Group and the Human Computer Interaction Group. I received my Ph.D. in Computer Science from the University of Aberdeen in 2010 on the topic of Explaining recommendations, generating explanations for recommender systems such as Amazon.com, which try to predict your interests. I am interested in improving human interaction with artificial advice givers, and my research spans the areas of recommender systems, user modelling, (applied) natural language generation, and human-computer interaction. I am particularly interested in using information presentation (text, but more recently also interactive visualizations) to improve the quality of decisions that people make, and the best ways to evaluate this sort of decision-making. I started the first workshop on interfaces in recommender systems, and it is running again at the ACM Recommender Systems Conference this year. I am also an associated editor on a special issue of ACM Transactions on Interactive Intelligent Systems on the topic of Human Interaction With Artificial Advice Givers. This term I have been teaching Big Data and Cloud Computing as part of a Masters degree in Applied Data Analytics at BU. The students on this course worked on exploratory data analysis, using large, real world data-sets. To support interactive visualization, the students used R for analysis, and Shiny.io to create a web application. This was a great way for the class to learn hands on about issues with large datasets, including heterogeneity across data sources, and the importance of being able to host and access the data (one of the groups reads JSON data from a live feed). Each team covered a different interesting problem area including: climate change, crime rates in the Camden Borough of London, live earthquake updates, and live tweets of music listens (#nowplaying) across the globe. You might want to have a look! You can play with their systems here.